What Size Plyo Box Should I Get? When choosing a plyo box, whether it be for plyometrics training or cardio, the first question most people ask is what size plyo box should I get? There are a lot of factors that go in to play when choosing the right size plyo box, which I will examine here for you. 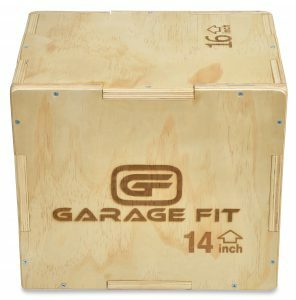 What Size Plyo Box Is Right For Me? The 12″x14″x16″ plyo box is generally the smallest of the 3 in 1 plyo box sizes. This box is a good starter box for someone who has not yet started training or is limited athletically. It is also a great box for younger athletes that haven’t reached full development. Finally, it’s a good box for intense step-up training. It gives you three options, all which can be effectively used for step-ups. One of the common complaints with this size plyo box is that the sides are very small and don’t fit well with big fit. That is certainly accurate. I’m sure it is obvious, but the smallest side of this plyo box is 12″x14″. This is often not much bigger than a large pair of feet. The 18″x20″x24″ is a very versatile box. This box is generally a good start for moderately athletic individuals. The 24″ side allows for the woman’s Rx standard for crossfit. That makes this size plyo a good fit for a lady who is trying to work herself up to the Rx standard. 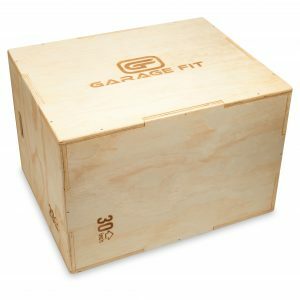 This size is also a good size box for athletic teams who are undertaking a plyometric program. It’s a good choice because it is likely that your sports team has people with a wide range of abilities. If you are using this in a home gym or garage, it is a nice combinatio of height, but it minimizes the overall storage space that is required. The 20″x24″x30″ Plyo Box is a great plyo box for increasing athletic performance. It’s great for people who are trying to take their athletic performance to the next level. 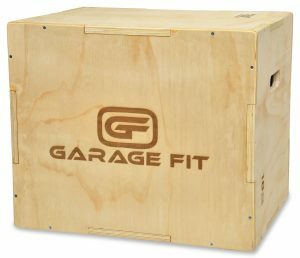 The 20″x24″x30″ box also has both the men’s Rx crossfit standard 30″ and the women’s crossfit standard of 24″, making it the perfect size for functional fitness training. The 20″x24″x30″ plyo box is the best combination of height and size for athletic training. Jump box training can be used for a lot of different purposes. It can be as simple as step ups and cardio training or as sophisticated as plyometrics training. A plyo box is a great way to increase your athletic performance or your cardio fitness. When choosing a plyo box, it is important that you get the right size or group of sizes to fit your needs. If you are trying to increase your vertical leap, it’s good to find the plyo box with the lowest height closest to your current average vertical leap. I define your average vertical leap as the height at which you can comfortably perform 10 jumps. This height will allow you to grow in to your plyo box. 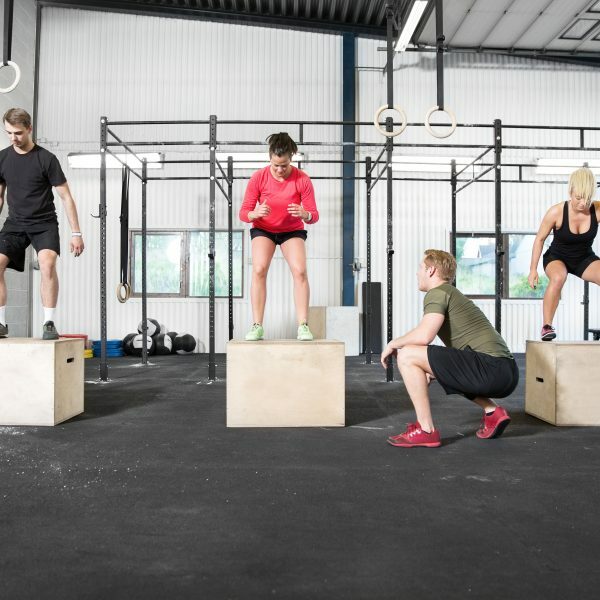 If you are purely using your plyo box for cardio, it is a good idea to choose a plyo box where you can pefrom your average vertical leap at the middle size. This gives you options for your training. As you are becoming fatigued during your training, you will be able to adjust to a shorter side of the box. If you are having an exceptional day, you will be able to increase size to give yourself a greater challenge.